Die "Oversized and Underprized"-Ausstellung kommt nach Hamburg! 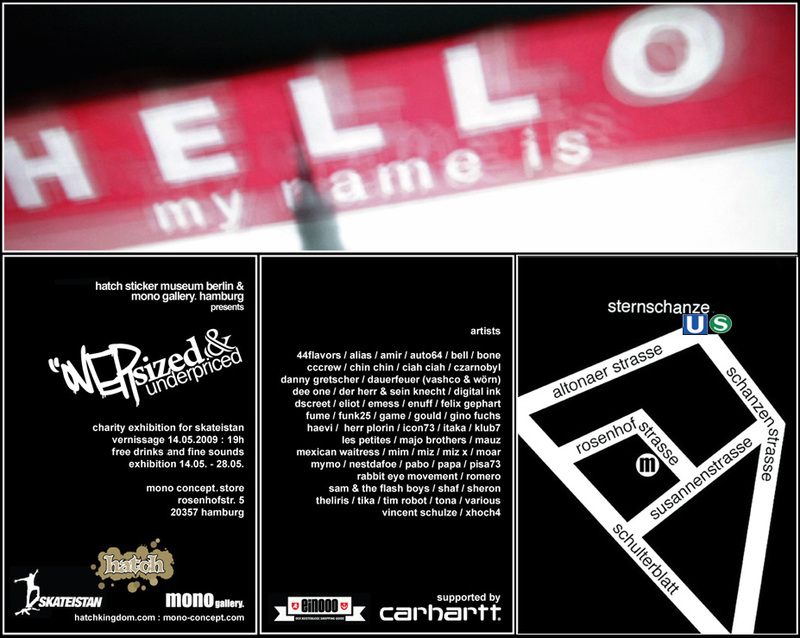 Am 14.05.2009 im Mono-Concept in der Rosenhofstrasse 5 (19:00). Teilnehmende Artists u.a. : 44flavors / alias / amir / auto64 / bell / bone / cccrew / chin chin / ciah ciah / czarnobyl / danny gretscher / dauerfeuer (vashco & wörn) / dee one / der herr & sein knecht / digital ink / dscreet / eliot / emess / enuff / felix gephart / fume / funk25 / game / gould / gino fuchs / haevi / herr plorin / icon73 / itaka / klub7 / les petites / majo brothers / mauz / mexican waitress / mim / miz / miz x / moar / mymo / nestdafoe / pabo / papa / pisa73 / rabbit eye movement / romero / sam & the flash boys / shaf / sheron / heliris / tika / tim robot / tona / various / vincent schulze / xhoch4 Hier der Flyer! Oi Oi!